We love hosting in our house. Like, really really love it. We are always trying to think up excuses to have parties or invite people over for a random Friday night get together. I am convinced the sixth love language is feeding people, and that is definitely mine. Hosting = feeding people = happy Chelsea. Thanks to football season, there is always a reason to throw a party. Pick any weekend, and there is definitely going to be a big game on that people want to watch. Great news for us! I think one of the reasons I love hosting is because I feel like I have it down to an exact science, as my Nana always says. I know what food to make that will take the least amount of preparation and yield the happiest guests. No host wants to spend the whole party in the kitchen! 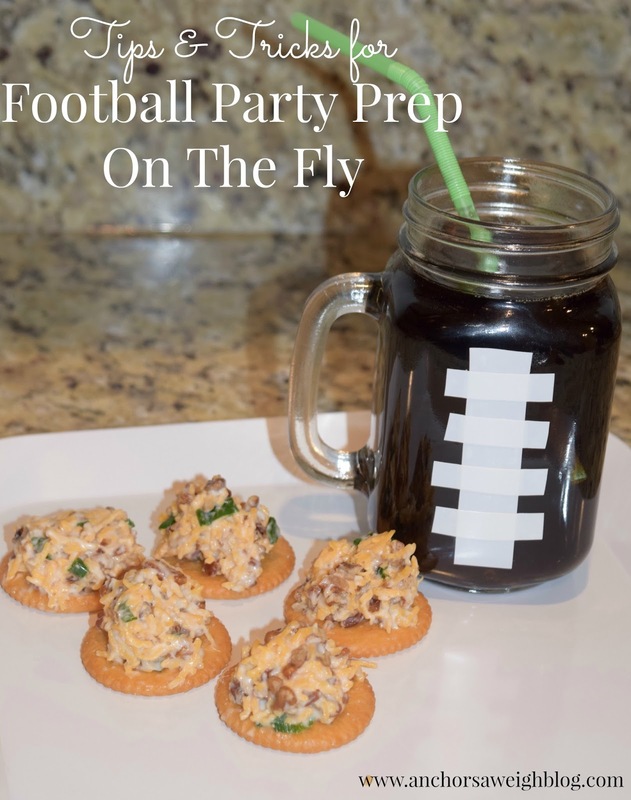 Today, I thought it would be fun to share a few tips and tricks on how to prep for your football party on the fly. With the big game coming up, we could all use a few shortcuts to keep the prep to a minimum! Tip #1: Choose snacks that can be prepared in minutes. We all know that we come to the football parties for the food. Oh, you're the one that actually wants to watch the game? No problem. Don't mind me as I devour all the food. 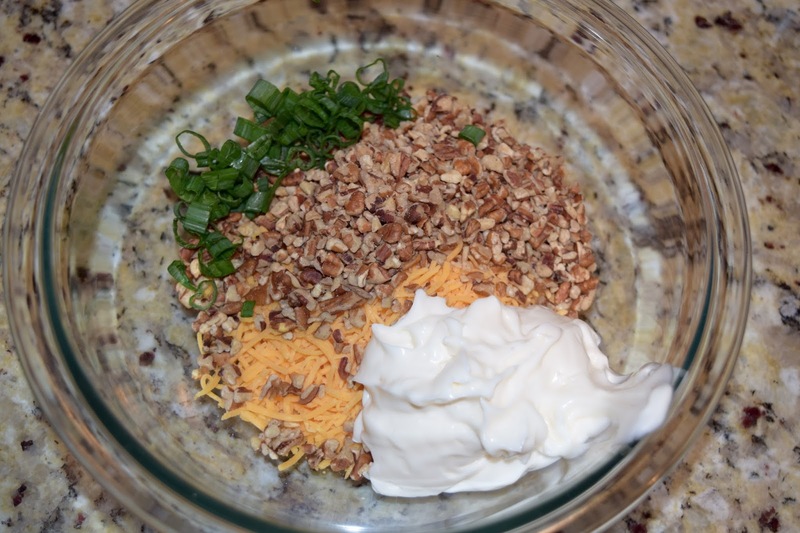 Food should be easy to whip together and not yield a huge mess at the end. Enter: Creamy RITZ® Cracker Bites. These Creamy RITZ® Cracker Bites literally take 5 minutes from start to finish but taste absolutely divine. 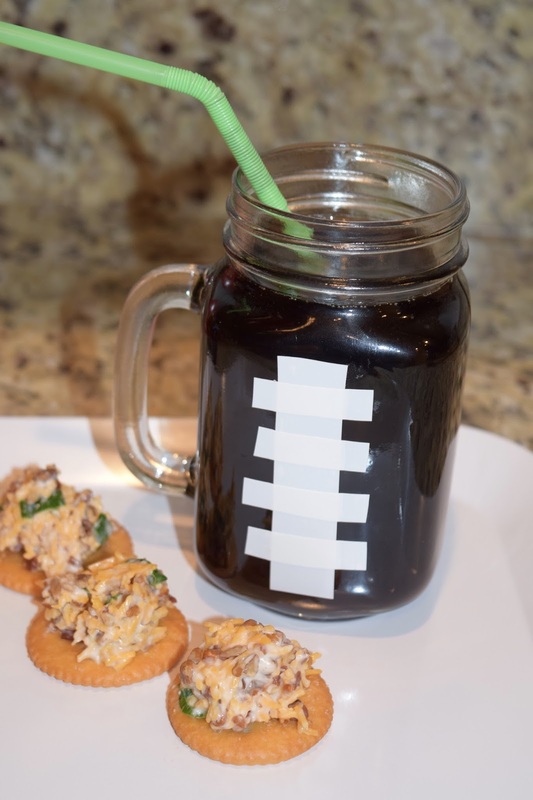 That is my kind of football party treat! The best part? 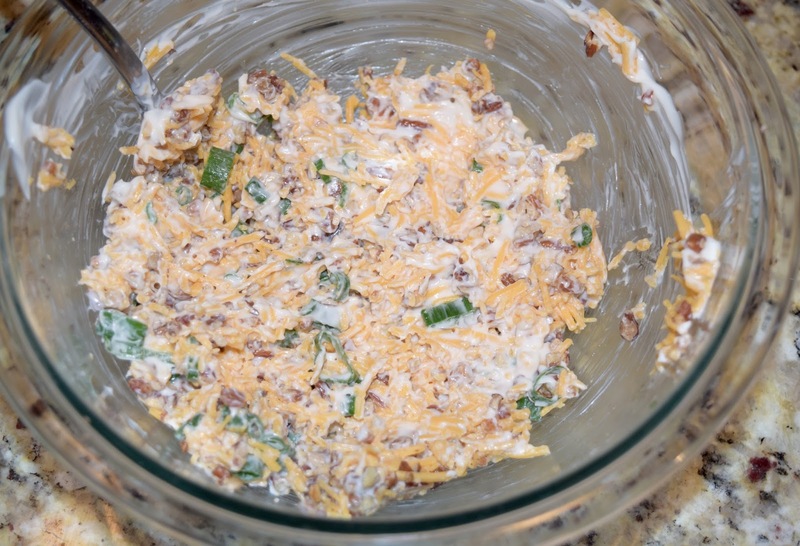 It's super easy to make a lot or a little depending on how many guests you will have. 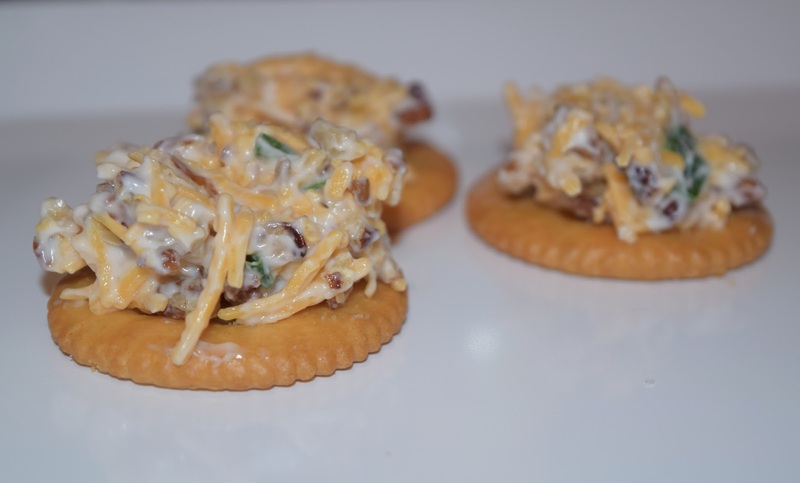 The below recipe will make about 12-15 RITZ® Cracker Bites. Double or triple it if you feel so inclined! 1. In a medium bowl, combine all ingredients but the RITZ® Crackers. 2. 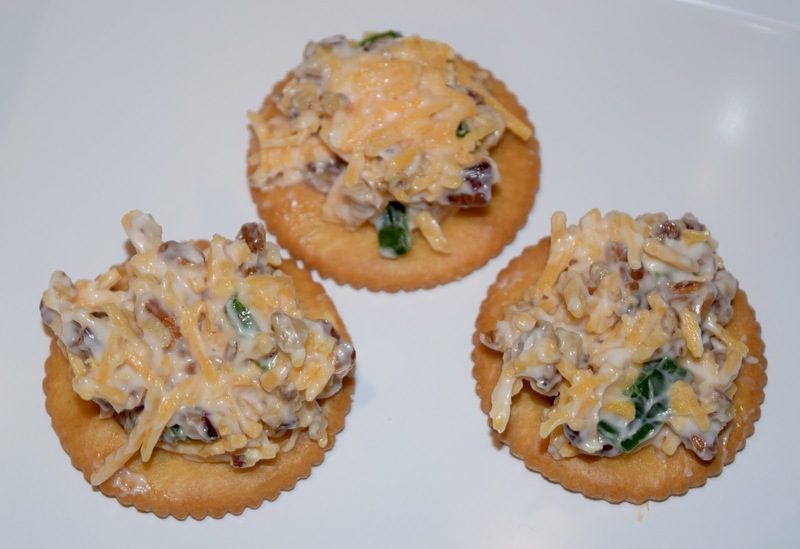 Stir together, and then top a tablespoon of cheese mixture on top of each cracker. 3. Serve and enjoy! So simple! So, to recap, serve food that is quick and simple to prep. Period. End of story. Just do it. Tip #2: Choose inexpensive decor that can be quickly crafted to fit the event. Decor adds a personal touch to the party. It lets your guests see you went the extra mile and really got into the theme of the event. 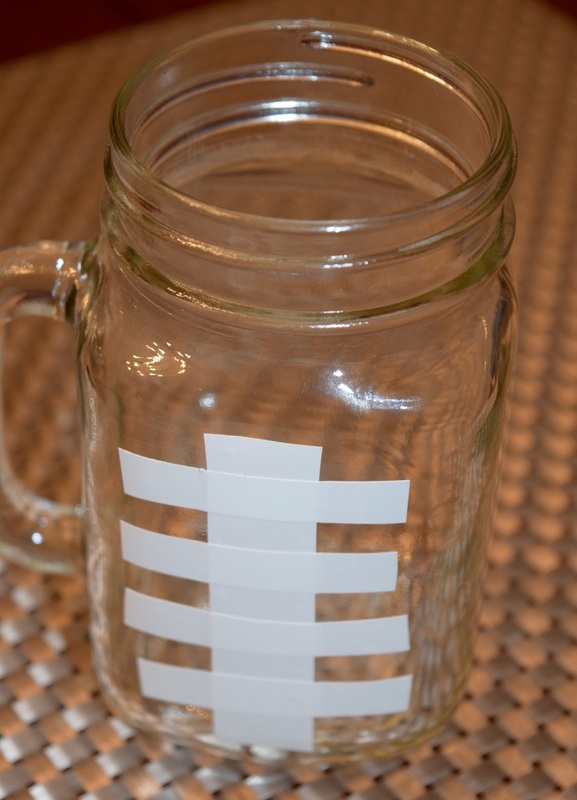 Since we are talking about football here, I want to highlight my favorite decor trick for the big game that can be completed in... you guessed it... 5 minutes. 1. 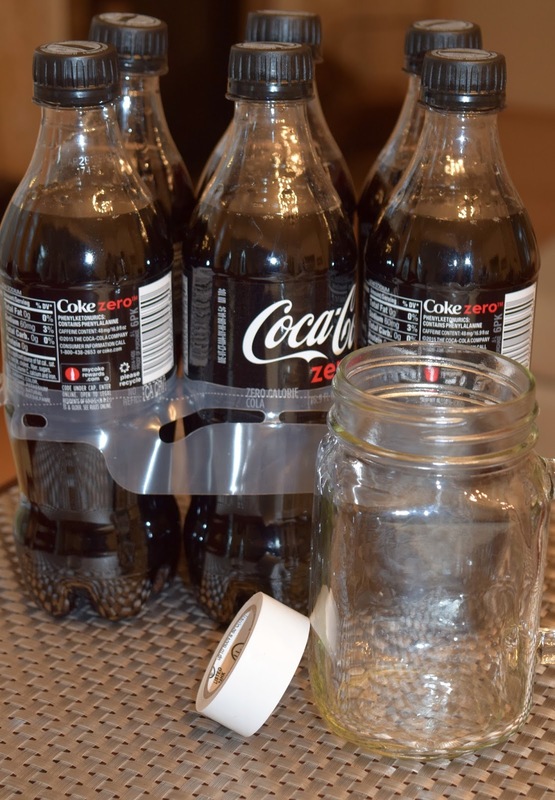 Cut one strip of white tape slightly shorter than the length of your mason jar and place vertically in the center. 2. Cut 4-5 smaller strips and place horizontally so they intersect your center line. 3. 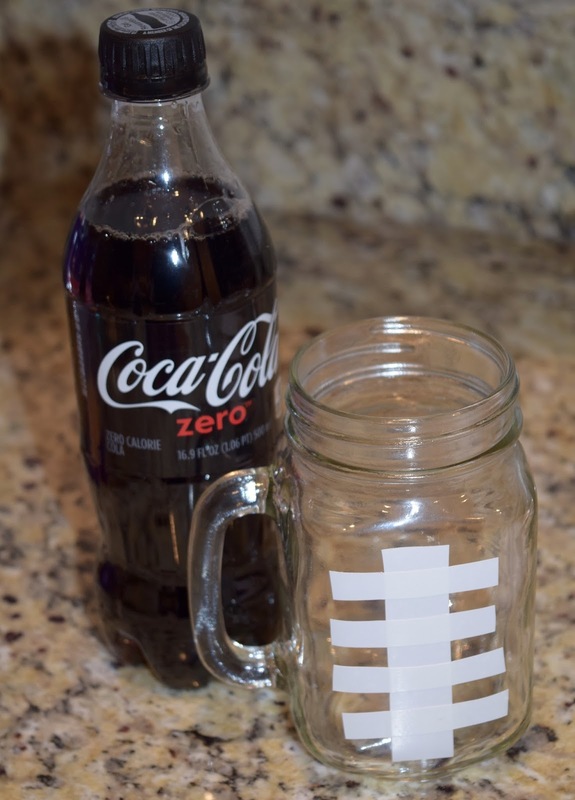 Fill the jar with Coke Zero to give it the final "football" look! Boom. Done. Bonus: All Coca-Cola 500ml 6-packs are currently 2 for $5! See how simple that is? Simple is just better when it comes to throwing football parties. We all know you have enough on your plate as the host, so it's all about not overcomplicating things. 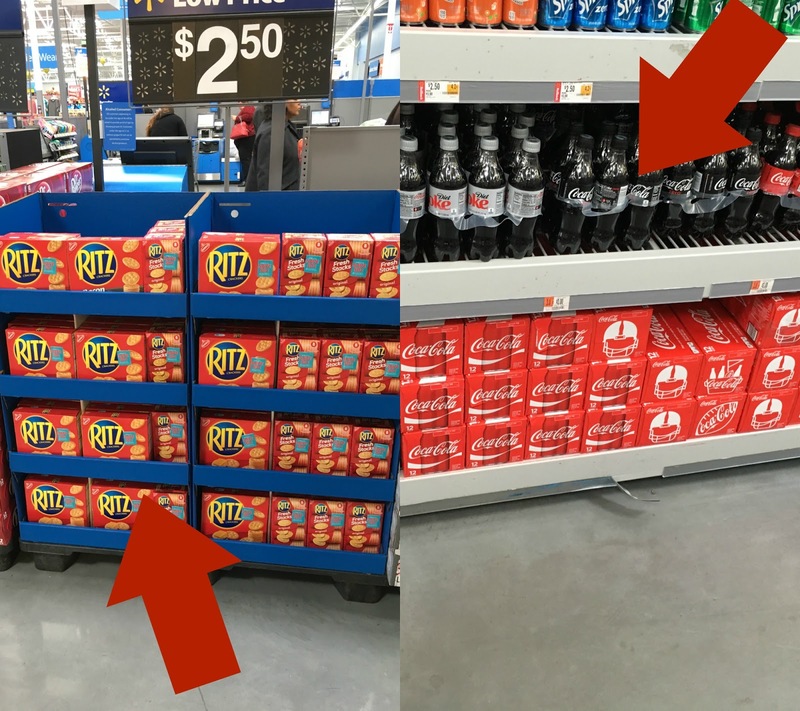 To recreate these tips for the big game, head on over to Walmart and look for a RITZ® Cracker display at the front of the store and Coke Zero 6-pack in the drink aisle. What are your favorite tips and tricks for happy hosting? I'd love to hear! 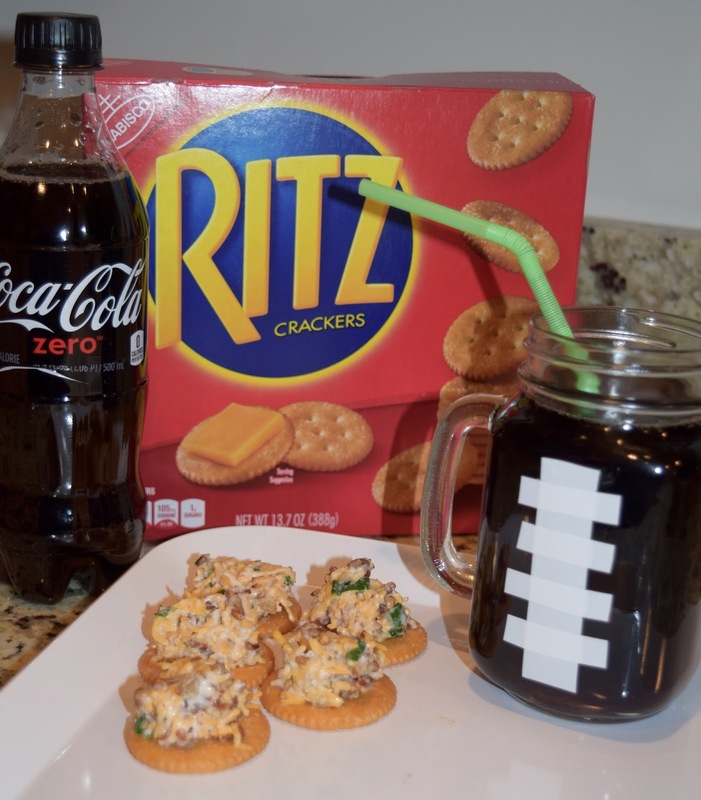 Do you have any fun recipes using Coke Zero and RITZ® Crackers? 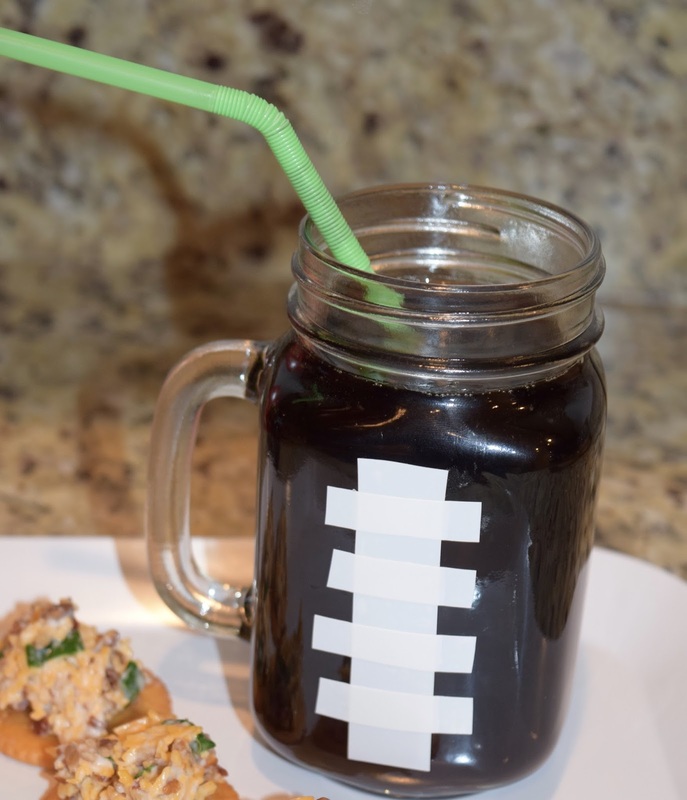 Be sure to check out more football party ideas with Coca-Cola and RITZ® at SnacksandSips.net. Love the tape idea! Genius! Great idea!! Looks delicious too!